Inika is perfect for creating a flawless, natural-looking complexion. The Kits are a great introduction to Inika range and also makes the perfect gift for beauty lovers! Inika Eye makeup is made 100% free from harsh chemicals such as parabens and phthalates and are 100% Halal and cruelty free. Developed with natural ingredients to boost skins appearance and give a healthy result. Their Eyeshadows are made with natural minerals, rich in pigment to give you long lasting vibrant colour to your makeup! Their Eye Pencils are Certified Organic to reduce any irritation for sensitive skin and eyes and glide softly for bold definition. Inika Lip Colours and Glosses intensely condition and soften dry, chapped lips with adding a lasting pop of colour. Inika Brushes are 100% Vegan and Cruelty Free, their brushes are made to the finest standard without the expense to the environment or animals. The brush is made from sustainably forested wood and soft and thick synthetic bristles. Inika Brushes have been designed to work in harmony with Inika cosmetics to give you the best finish to your makeup you could possibly get! 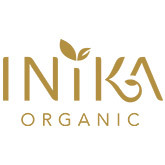 Inika is a brand which is based in Australia, after feeling the urge to detox and knowing that they were able to remove harmful chemicals from different parts of their lives, such as their food and homes and replace them with wholesome and pure alternatives, they realised there wasn’t a ‘healthy’ alternative to makeup. This idea spurred Inika on to create the healthy option to makeup, and that is what they did. Inkia promise to only include natural and ethically sourced ingredients. Inika Beauty Products have a list of certifications which prove they are committed to following their philosophy, they are Certified by Food Chain Australia, Vegan Society UK, Choose Cruelty Free Australia, Organic Cosmetics Italy, Certified Halal, and Truth in Beauty. Formulated using only natural and ethically-sourced ingredients, #TeamGorgeous love this 'healthy' beauty brand. We've rounded up some of our award-winning hair, body and beauty favourites! Inika Makeup is completely free from harsh chemicals or perfumes, meaning that it is okay to use even after cosmetic procedures. Inika believe that women who want to use makeup shouldn’t have to compromise one the colour, performance or quality – this is why Inika strive to provide not only natural makeup, but also high-performance, luxury products. Since first launching, Inika has become globally recognised, as well as winning many beauty awards for their unique brand. In 2016, they won The Gold Green Parent Natural Beauty Award, the Pure Beauty Award and the Natural & Health Beauty Award. Inika Certified Organic Natural Concealer – this concealer covers blemishes, loss of pigmentations, uneven skin tone and dark circles. The light consistency blends easily to leave a flawless complexion. This product contains certified organic ingredients such as rose hip oil and macadamia. 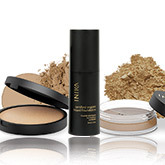 Inika Mineral Bronzer - is 100% free from harsh chemicals such as parabens and phthalates. This bronzer creates a healthy glowing complexion, leaving your skin with a natural finish, highlighting your cheek bones. Gorgeous tip: Mix the minerals with your favourite moisturiser for an instant self-tan!